To recycle elemental molybdenum from waste molybdenum disilicide (MoSi2) heating elements, the MoSi2 was first disintegrated to MoO3 and SiO2 powders in air at a pest oxidation temperature of 500 °C. 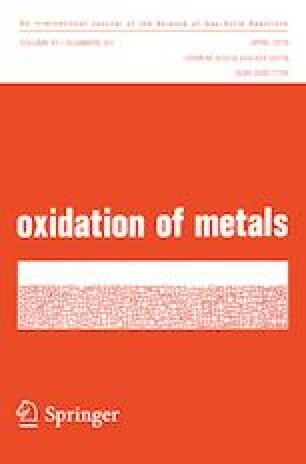 X-ray diffraction (XRD) patterns confirmed the completion of the pest oxidation reaction. The mixture of MoO3 and SiO2 powders were heated to 950 °C in a tube furnace to evaporate MoO3, and the XRD patterns of the residue showed that only SiO2 was left in the crucible, confirming that the MoO3 was removed through thermal evaporation. The collected MoO3 crystals had a striped morphology. Photocatalytic performance of MoO3 showed superior activity in comparison with commercial MoO3 and P25 for the degradation of methylene blue under visible light irradiation. The photocatalytic degradation activity of MoO3 synthesized by thermal evaporation at 950 °C was 99.25% in 60 min. This work was supported by the National Natural Science Foundation of China (51574241 and 51874305), the Swedish Foundation for Strategic Research (SSF) for Infrastructure Fellowship (RIF14-0083).